I’m pretty sure this was one of Arnie’s one-liners when he played Mr. Freeze in Batman. Others included “Ice to see you” and “Let’s kick some ice”. Anyway, I digress. 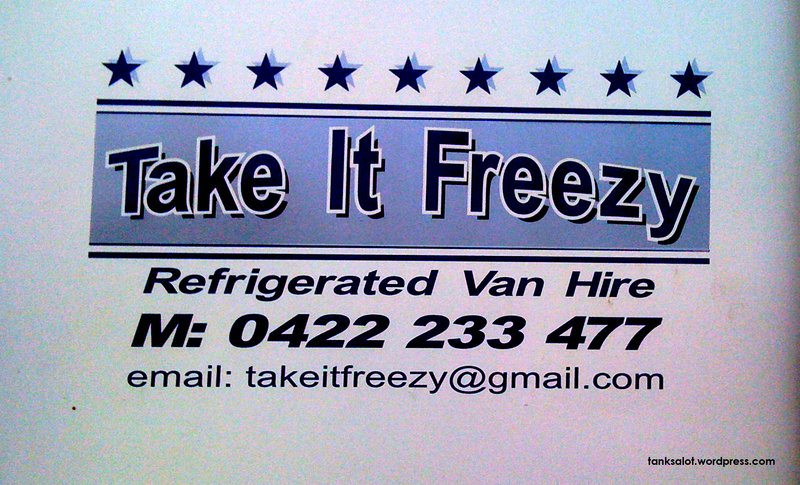 If you’re looking to rent a refrigerated van in Hendon South Australia, how could you go past Take It Freezy? Thanks to first-time punter Kent Davis.